Music material will be drawn from the areas of Magyarpalatka and Magyarbőd. Dűvő has taught music at folk camps throughout Europe and are a favorite at folk festivals in Hungary. 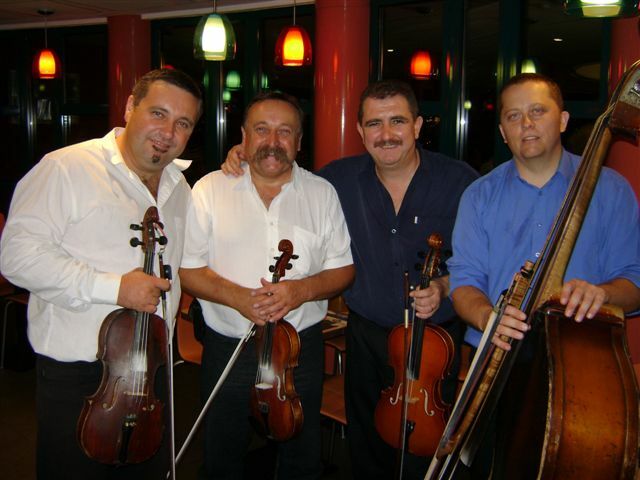 They play a vast repertoire from all ethnic groups of the Carpathian basin and Felvidék area, have earned the “Young Master of Folk Arts” in 1983, are the accompanying band for the Nógrád Dance Ensemble, and have played for many recent Western Canadian Hungarian Festivals. Dűvő has released at least 12 major recordings as well as numerous teaching recordings. Szabolcs Hrúz plays violin, kontra and koboz. Zsolt Nagy plays clarinet, kontra and furulya. More information on Dűvő, including many pictures and Dénes’ blog, can be found on their web page at www.duvo.hu. 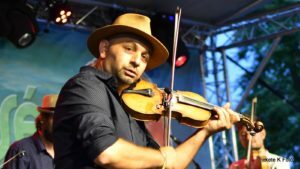 Martin “Florin” Codoba is a well-known village musician from Magyarpalatka. He has been learning and playing folk music with his family since 1985. Upon the death of his father in 2003 he took over leadership of the Palatka band. He has held a permanent position at the Kallós Zoltán Alapítvány’s school of instrumental music since Fall 2015, where he serves as an informant and principal instructor. He has been a supporting member and instructor of the Kallós Zoltán Alapítvány for 28 years, teaching its folk music camps. For the past three years his two children have participated with him, accompanying on fiddle and kontra. Florin has participated in many camps, festivals, and folk music concerts with such famous bands as Muzsikás, Dűvő, Üsztürü, Tükrös, Jánosi. He also worked for the Budai Zeneiskola imparting his knowledge acquired over many years. Florin’s travels as a musician include trips to Hungary, Holland, Belgium, Germany, Italy, France, Finland, Poland, Estonia, and Latvia. In 2004 he toured in Australia, and in 2013 traveled to the U.S. for the first time. He currently performs solo and with his band, Erdőfű, throughout Transylvania and Hungary. Instruction will be available on all of the above-mentioned instruments.